Every so often, I post something on the IheartPGH Facebook page that seems to strike a Pittsburgh nerve. The last hyper-popular post that I can remember was about the chipped ham pink nail polish. I know that there are many of you who aren’t Facebook users so I am reposting this little nugget of Pittsburgh love here for all to enjoy. Each Friday, there is a post in the Pittsburgh Bloggers Facebook group where folks share links to what they have written over the past week. 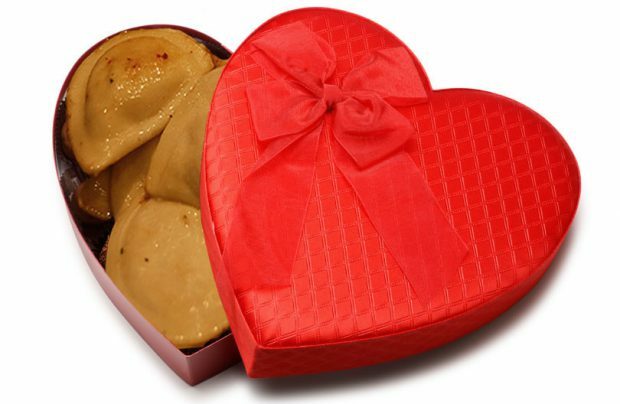 Last Friday, in honor of Valentine’s Day, Breaking Burgh shared a link to a previous Valentine’s Day post – Pittsburgh Woman Claims The Pierogi Is The True Food Of Love. One of my personal duties as a Pittsburgher and blogger of Pittsburgh culture is to read every post about pierogi. So I clicked the link, Breaking Burgh has acurately captured Pittsburgh’s love of potato and cheese dumplings. But I thought the following comment was worth sharing. This is the most sensual description of eating pierogie I have ever encountered , and I love it! It makes me want to beg for more, for more of the luscious butter flowing from my lips as I savor each morsel of delectable hot brown butter! Until my next experience with the ever loving pierogie, I remain ever faithful to its plump mouthful of goodness. Turns out everyone else agrees and the Facebook post from Friday has continued to receive many likes, loves and shares. But wait, it gets better! I was just about to publish this post but I thought I better check on the chipped ham pink nail polish availability. Given how popular this post was I’m sure others will be interested. Sadly, this color of chipped ham is out of stock. But to my surprise, the folks at Gridlock Lacquer now sell a church pierogi shade of pink, I need to use an Oprah voice here – A CHURCH PIEROGI SHADE OF PIIINNNNKKKKK, which thankfully is still in stock and can be yours for just $9.00 + shipping. Looking for a way to sweat of some of those pierogi pounds? Download Zenrez and save big on last minute fitness class signups. Everynight at 9pm, Zenrez posts classes for the following day at spinning, yoga and fitness studios around down at a discount. Click here to get $10 in free Zenrez credit.